Pearl’s Peril | Hey Gamer Lady! Today I thought I would review one of my favorite facebook games – Pearl’s Peril by Wooga. 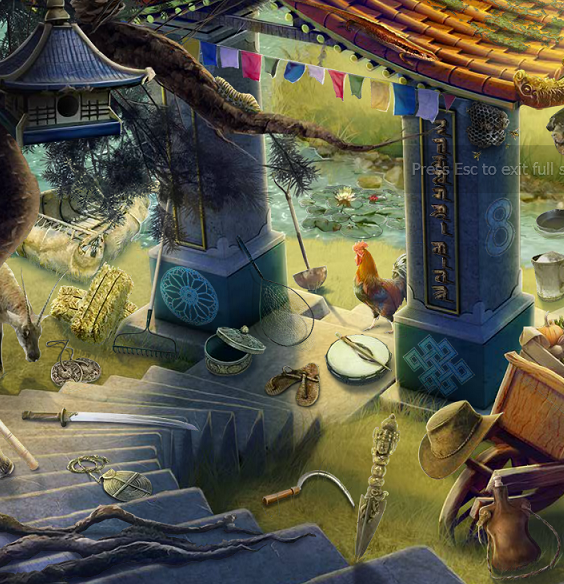 Pearl’s Peril is a Hidden Object (HO) game. And it is similar to many games of the genre. At it’s core, there is a basic storyline that leads to various scenes which have a list of objects for you to find in the scene. What Pearl’s Peril does better than most HO games is that it increases the difficulty of each scene the more times you play it! When you first start out, you might need to find 10 out of 16 possible objects. After a couple times through, it increases the number of objects you need to find as well as the number of possible objects in the scene to be found. Certainly, by the time you get to the highest achievement on a scene, you know all the objects and where they are, but it feels more… playable. You don’t get tired of the scenes nearly as quickly and it feels like it continues to challenge you throughout each scene. 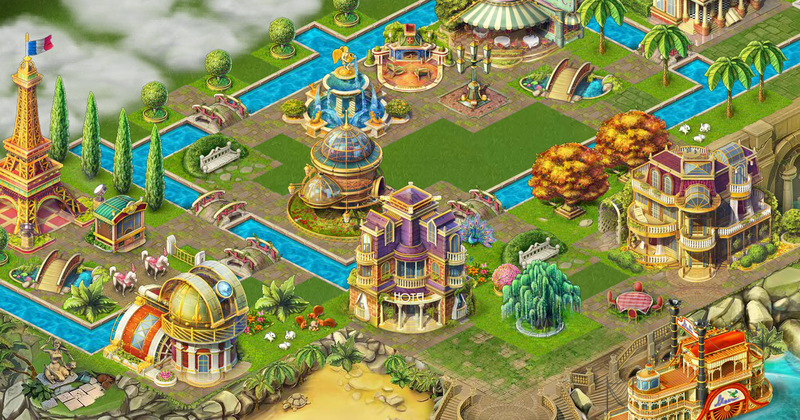 Recently, they added a new feature – the steamboat captains challenge (you can see the steamboat in the lower right hand corner of the picture above). There, the captain presents a scene and gives you 60 seconds to find as many hidden objects as possible. The catch being that it only gives you 3 objects at a time and you have to find all 3 before it’ll give you more. I am assuming that the scenes are from later ones in the game (I’m only on chapter 9 and there are… quite a few more than that), but I haven’t been able to verify that. Just as with the main game, it starts out with just a few objects to be found and gradually adds more. But because it’s timed, you don’t have time to sit and study it as you do in the main game! The part I like least, naturally, is the social media game aspect, although it isn’t as bad as many. It pretty much requires 3 friends that play relatively actively or that you spend money. The only thing that the friends are really needed for is to get from chapter to chapter (each chapter has 5 scenes + a bonus scene that works a little differently from the main scenes). They can also give you extra energy to do the scenes more frequently and extra tickets for the Captains challenge, but ultimately, you can do the rest of the game without help. Paying, instead of having active friends, is, in the scheme of things, not terribly expensive, so I don’t find the money aspect nearly as intrusive as with most games. The only other negative I’ve found is that there’s a slowdown for a while, where in order to progress to new scenes/chapters, you really need more money than you can earn easily. So you end up playing the same scene over and over to build up money. This could, again, be greatly sped up with real money, and the issue does seem to improve eventually. Overall, and mostly because of the money/friends, social media aspect dragging it down slightly, I give the game 4.5 stars! It is a very well done example of a HO game and is good for a LOT of hours of fun! It's all about the games! !